A North Wales delivery company has invested more than £300,000 in a fleet of new vans from an Anglesey vehicle dealership. 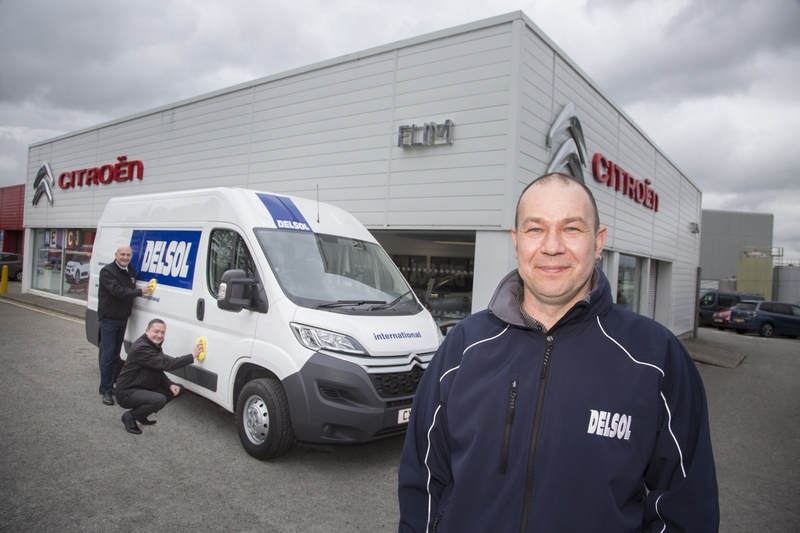 Pallets to parcels company Delsol just has taken delivery of the latest vehicle in a batch of 10 Citroen Relay vans from Elim Citroën, based in Llangefni, Anglesey. 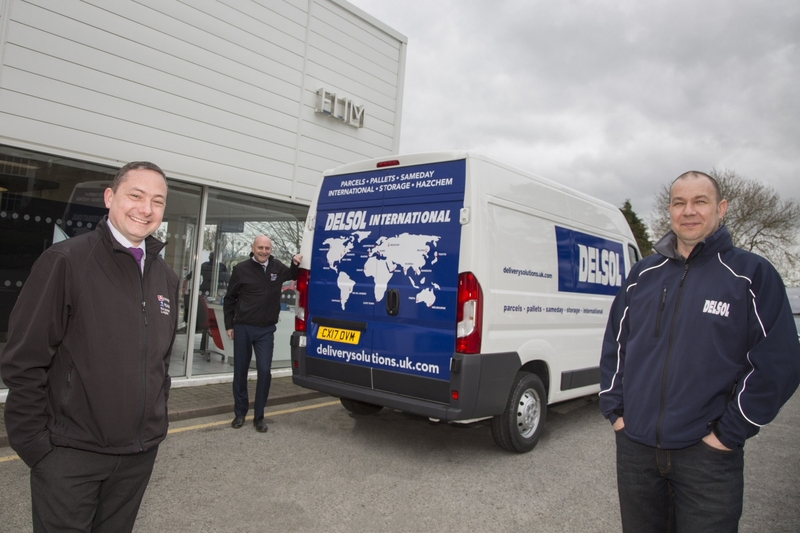 The vans will join Delsol’s 80-strong fleet of modern delivery vans and tail-lift equipped trucks, which deliver items around the UK and across the globe to retail, commercial, industrial and private addresses, for large companies through to small enterprises and personal customers. 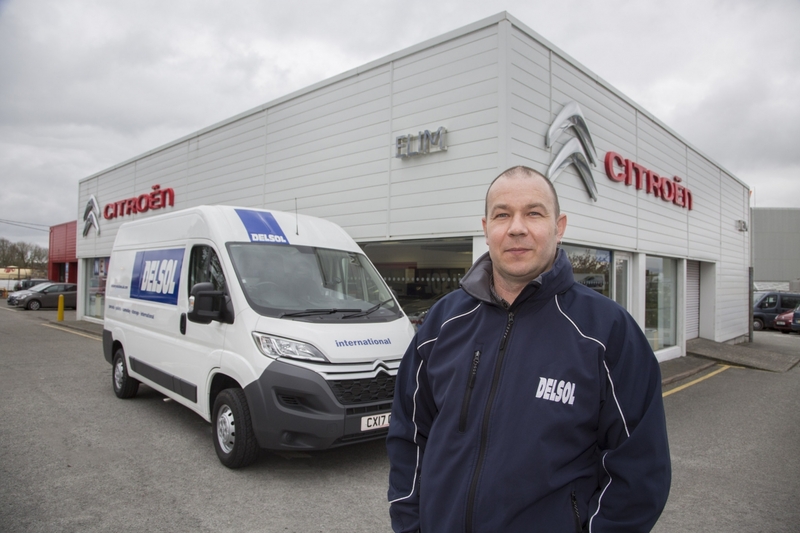 Delsol transport manager Mark Hughes said: “We have been working with Elim Citroën for some time now to source new additions to our fleet, which ranges from small vans through to large HGVs. 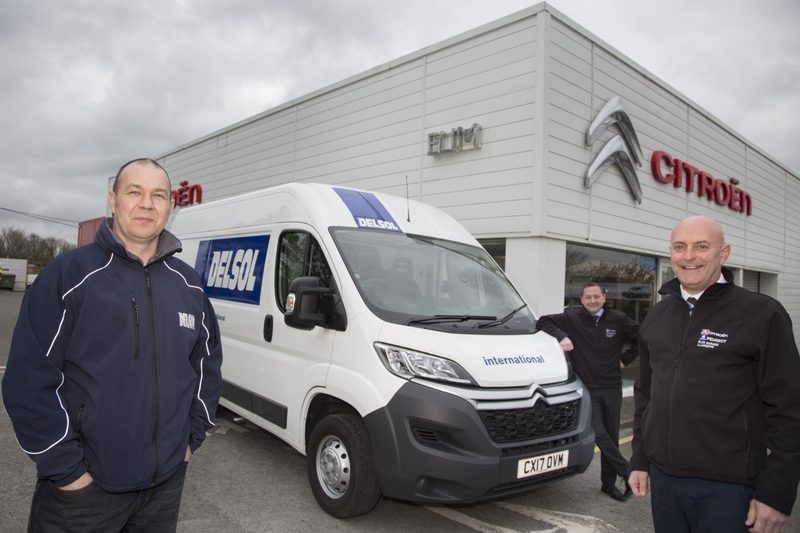 “We are presently taking delivery from Elim Citroën of around one Citroen Relay every month, and we are now into the new ‘17’ number plate registration for 2017. “It is important to us that our vehicles, no matter their size, are reliable, robust and capable of covering a lot of miles whilst also providing comfort and safety for our drivers as they deliver customers’ orders. Delsol transport Manager Mark Hughes with Elim Dealer principal Ian Trevor and sales manager Will Carr. Will Carr Sales Manager, Ian Trevor Elim Citroen Dealer Principal and Delsol transport Manager Mark Hughes. Pictured is Delsol transport Manager Mark Hughes. “We believe it is essential for a business such as Delsol to consistently invest in our fleet so customers know that their order is safe, secure and en route with the minimum of delays. Will Carr, Sales Manager at Elim, admits he has a moment of pride when he spots a Delsol van on a North Wales road, which has been supplied by the award-winning dealership. He said: “It’s great as a local company to be helping another North Wales company be successful and fulfil its orders for customers. It’s an absolute pleasure dealing with Mark, this will be the 12th New Relay delivered from us and we have nine more to follow in the coming months of 2017. Delsol employs 115 staff at its bases in Caernarfon, Gwynedd, and Sandycroft, Flintshire, and offers same day, overnight and international delivery and collection services.